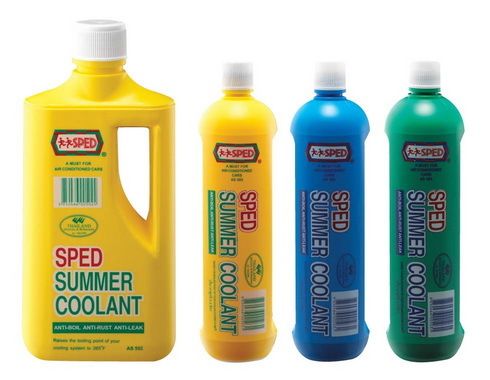 Sped Summer Coolant prevents overheating, corrosion and rusting of cooling system. Also a premium water pump and thermostat lubricant. Harmless to every parts of cooling system and aluminum block. Flushes out rust and grease in 10 minutes. Recommended for all types of automobile cooling systems, including aluminum. Use before adding and after draining coolant. ๐ Clean and remove gum, vanish, sludge and carbon deposits from vital engine parts. ๐ Reduce bearing cylinder and ring corrosion. ๐ Clean and free valves and hydrolic lifters. Engine wear is significantly increased when poor lubrication results from too low level of these protective additives in your motor oil. SPED Oil Treatment's best additive types to put extra anti-wear agents, lubricants,viscousity improver, corrosion fighters and acid inhibitor to work when and where they are needed to fight engine ware. Plus, special dispensant properties in these additives fight sludge and help keep your engine cleaner. Restores carburetor performance, removes vanishes carbon, gum and maintains the system clean even while idling. Perfect for tune-ups and top-notch engine performance. Removes oil, grease, grime and stains from automobile engines, machines, tractors, motor exhaust fans, tools, oven grilles, floor and driveways. Safe for metal and rubber.